The 3am Teacher: August Currently!! AND LAST DAY to get EDUCENTS BACK TO SCHOOL BLOWOUT DEALS!! August Currently!! AND LAST DAY to get EDUCENTS BACK TO SCHOOL BLOWOUT DEALS!! I am linking up with Farley's monthly currently!! 1. LISTENING: Silence... I have a great deal of work on my to-do list and my kids and husband have given me a day of silence to get caught up... and here I am... not working on my to-do list, but instead, linking up with the monthly currently (which is equally important..haha). 2. LOVING: OKAY!! So I will admit that I secretly LOVE taking the kids shopping for their school supplies because I like to hunt out little treasures I can use myself.... I don't know why... whether it is from my teaching days or whether or not I just have an innate sickness... but I LOVE new office supplies!! Aren't these the cutest??!! And the best part... they match my Hello Planner style!! I tried to find a link online, but it seems as though you can not purchase these online through Target or elsewhere... It is a GOOD thing I bought the whole LOT of them while I was there!! They only had four sets left and I loved them so much that I had to have them all... However, while at another Target last night, the shelf was fully stocked!! You are still in luck if these are something you have to have!! 3. THINKING: I have been working out for 30 days, eating healthy and now I am trying to get organized!! Just to give you an idea of how bad my piles have become... I had to actually clear the desk just to take the image of the folders above for you... here are the piles that are now on the floor.. I keep praying that God will bless us when the time is right.. and I know He will. We were blessed with this one a couple of years ago when we did not even have a car. Our HVAC business was S-L-O-W and we were living off my my income alone.. which was not even close to luxurious, but time will pass and sometimes you have money and sometimes you don't.... we mostly don't, but we are alive, healthy, and able to provide for our kids to the best of our ability.. I can't complain... PLUS.. I did buy more file folders when I really didn't NEED them.... UGH!!! My kids start school this WEEK PEOPLE!!! SERIOUSLY??!! Where did the summer go?? Working form home really does make the summer seem obsolete, but I am happy that my kids will be back on a schedule again.. it will be nice and motivation for me to get organized and stay on task. My daughter does not have to start school until TUESDAY (which she keeps bragging about to her brother) because she is a SENIOR in high school this year!! My kids are my greatest accomplishment and I am so proud to be a mom!! I feel honored watching the both of them grow, mature and become their own amazing selves!! Well, that is all I have to say write about for this currently... until next month my friends!! I hope you are all setting goals and finding your amazing selves as well!! P.S. I just want to let you know that the Educents BACK-TO-SCHOOL BLOWOUT SALE is still on!! 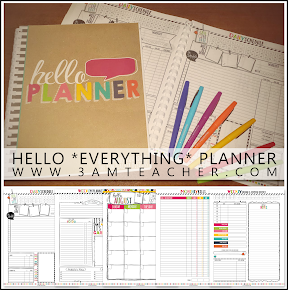 Click the link if you want to grab some amazing teaching resources for the new year at AMAZINGLY low prices!! TODAY IS THE LAST DAY TO GRAB THESE AMAZING DEALS!!! Those file folders are seriously adorable! Target has the most adorable stuff. It's kind of terrible- I end up spending all my money there! Fingers crossed on the new car for you- something will happen! LOVE those folders!!! 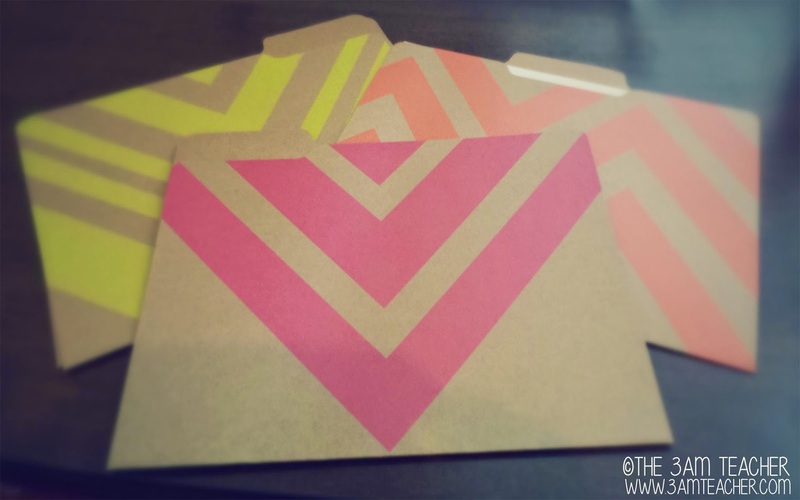 I'm addicted to just about all things chevron! Don't know if I'll ever get over it! I can definitely relate to the piles of things you wan to get organized. 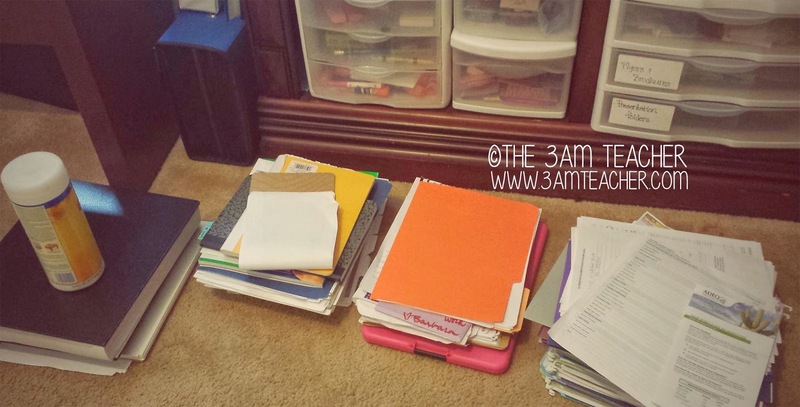 I started out the summer on a mission to get everything in my house organized. Yea, that didn't happen, I was only able to get my closets cleaned and organized and my office is in shambles. Papers, school supplies, junk mail, a complete mess! Once I go back to school I should be able to declutter somewhat! 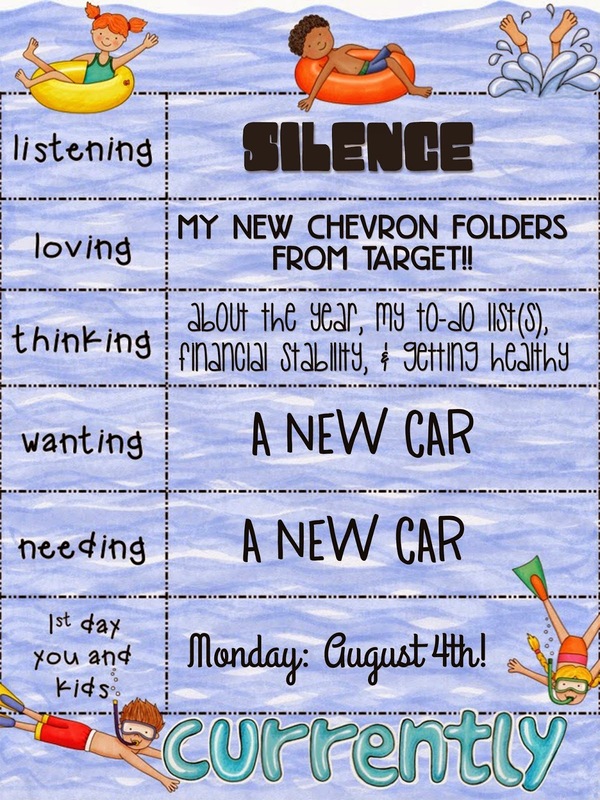 Hope your kids have a great school year and that you are able to get that new car soon!